Navigating change can bring up a myriad of feelings. Hope, uncertainty, fear, excitement, anxiety – to name a few. We manoeuvre through subtle transitions on a daily basis, sometimes without even being aware of them. But when faced with a bigger, bolder step forward, a hard decision; a fresh commitment; a change we didn’t choose; a change we did choose; a fear we need to confront – I often picture a wobbly bridge. 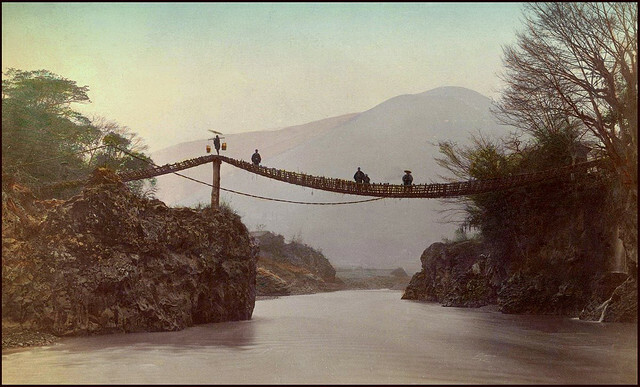 Imagine you are standing on one side of that bridge, or have even taken the first few steps forward. What does the world look like from where you are? What can you hear and smell? Are you hundreds of feet up in the air or closer to the ground? Is there water below you or land? Stay connected to your thoughts and feelings about the prospective journey. What might be waiting on the other side? Most importantly – what help or support might you enlist to help you make it across? Be specific.